In the past, without thinking, I’ve said my smartphone. In reality it’s my sim card and the data connection that it offers. I have countless ways of documenting what’s around me. Various smart phones and their apps, flip cams, hybrid cams, audio recorders a laptop and iPad. Without mobile data though, anything I record or create on these mobile devices isn’t set free till I reach some form of WiFi. I am yet to experience ubiquitous or even half decent wifi coverage anywhere in the UK. In fact in many of the places I work there is very little useable wifi. In my opinion, the broadband infrastructure in the UK is a joke. Especially where I live in rural Cambridgeshire. I have better data transfer via 3g than my home broadband connection. Not being much of a city dweller, it’s always been like this. Mobile Data for me is not a luxury. It’s an absolute necessity. It enables me to do what I do. Share and make stories from anywhere, with anyone with an internet connection. In amongst my birthday cards this year was a sim card. It was a gift from @VodafoneUK. An experiment. For one year I have unlimited mobile data anywhere in the world. My phone was already on Vodafone but I ported my number over to this new sim so throughout this year my data use can be monitored. Not the content. Just the amount. Vodafone did not ask me to do anything other than carry on as usual. They didn’t ask for a banners on my site. They didn’t ask for online content expressing my love for them and no money has changed hands. It’s a bargain as far as I’m concerned but I can’t let it go unrecognised. Mobile date is vital to what I do. Every video I upload, Audioboo I make and tweet I send depends on it. I was on a great Vodafone contract before but there has always been a cost issue with international data. 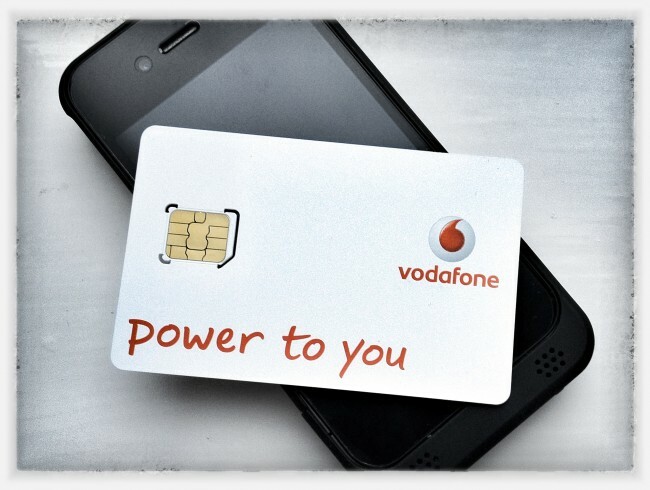 I know VodafoneUK have always worked closely with bloggers, enabling, sponsoring, equipping. I’m now looking forward to seeing what they do with this information. How they can make mobile data cheaper, easier, faster. I am more than happy to be a part of this experiment but can’t promise i’ll let the guys at VodafoneUK get away without any recognition. Having my data sponsored for a year is a really big deal to me. Especially as I have all kinds of adventures planned. There will be a big shakeup for everyone regarding access to mobile data this year, both at home in the UK and while travelling abroad. I use a lot of data. We are all using more and more every year. I hope that by working with VodafoneUK and letting them see what kind of data I am using they can make more informed decisions in order to lead the market and give great value to all their mobile customers. I have been one of those customers for over 10 years. My work for the last six years has depended on a decent data connection. Good old @vodafoneuk! What a shame that at the same time as doing this, their advertising folk are ailenating people like me with their abuse of Yoda on their billboards. I’m glad they’re doing experiments like this, but I wish they’d stop trampling on our culture. @LloydDavis I think you’ll find George Lucas already did that when he made Episode 1. But when are Vodafone going to supply 3g coverage everywhere? Many times when I’m out and about in Northampton for example my phone shows “no signal”. At other times I just get the small circle or an “e”. Mostly I have to wait till I get home to use my wi-fi to do any data intensive tasks on my iphone. But at home I have my computers, which are easier to use!! @ydnab40 There will always be black spots. Events, buildings and other uses always have an affect on coverage. 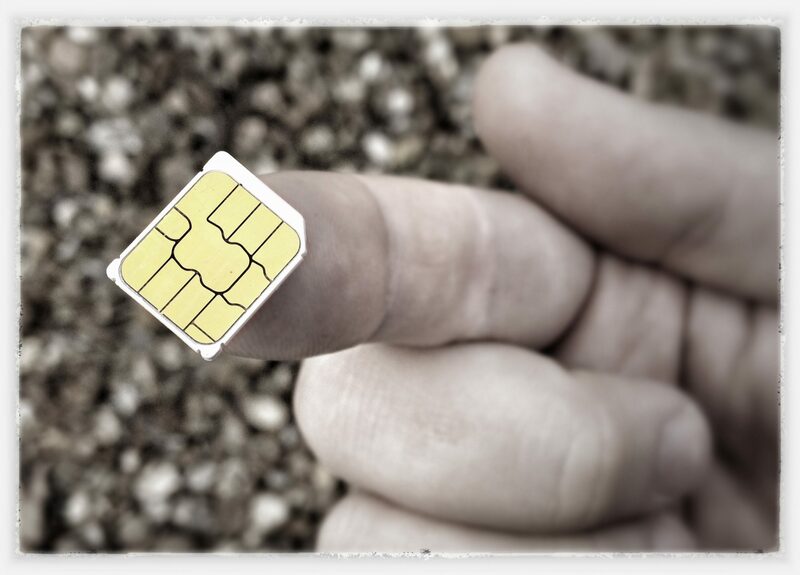 I have three or four sims on me at any time but chose Vodafone as my main sim a long time ago because i found it the most reliable in an uncertain world. Is it not expensive running 3 or 4 contracts or are some PAYG? I’m glad I’m not the only one. I’m usually at shop buying a new SIM card before the ink of my most recent passport stamp has dried. I’m surprised that TFL/mobile networks haven’t started putting boosters on the tube trains especially heading towards City and Canary Wharf etc. In Bedford you lose signal in the Harpur Shopping Centre and at Sainsbury’s over near Clapham – once you get past the first till/vegetable bits the signal tanks.